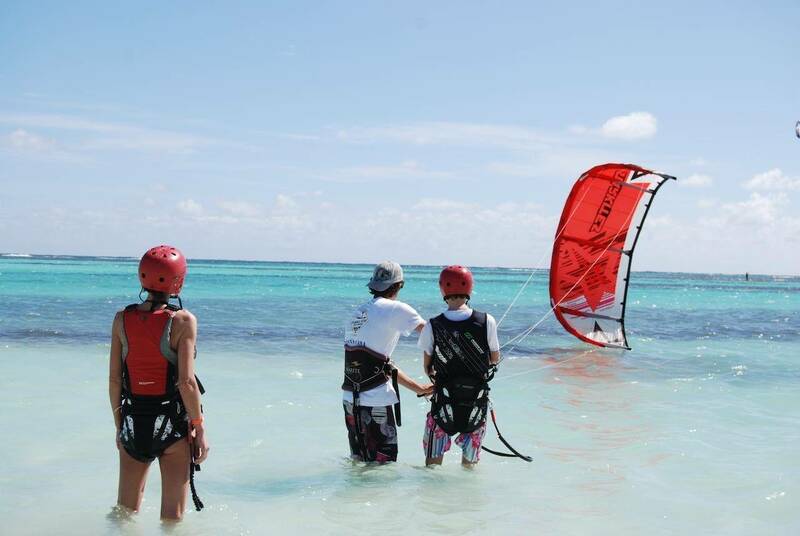 Students receive the hands-on experience required for a professional kiteboarding career with the IKO. Assistant Instructor trainees discover first-hand how an IKO Affiliated Kiteboarding School operates and learn what an Instructor's job entails! This program turns student proficiencies into great teaching and organizational competencies. Students learn how to prepare, use and manage equipment properly; how to follow the fundamental safety principles; and much more. The IKO Assistant Training Course is run over 3 days of structured lessons starting at 9.30 am with more days scheduled to complete your shadowing hours (minimum 10hrs). You will be working alongside seasoned Level 2 Instructors, giving you valuable insight into managing a Kiteboarding Lesson. We recomend doing the AITC at least 1 week before your ITC starts. Teach up to one student under supervision. Work at IKO Affiliated Centers. Access the Pro Area of the IKO website. Eligible to take the Pre ITC online course. Eligible to register for the Instructor Training Course (ITC).